[6 minutes] Mike S. Ryan ("Junebug", "The Comedy"), producer of "The Missing Girl" is the first guest. Filmwax Radio has been following the story of this film since its days in production last summer. The team will be announcing its world festival premiere shortly. We will pick up the story with more interviews at that time. 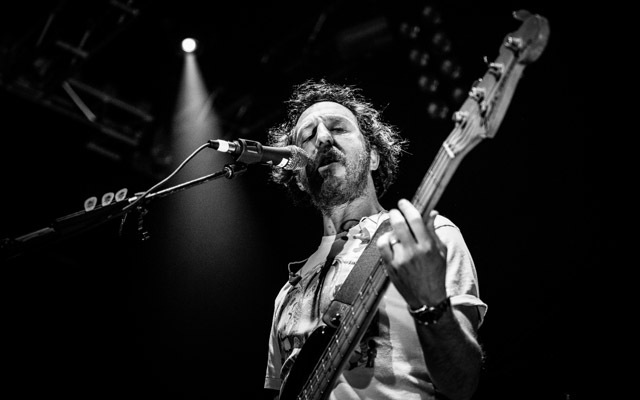 [39 minutes] Guster front man Ryan Miller is up next. They have a new album called "Evermotion". Clips from the album play throughout this episode. The album is currently available for purchase. Guster is touring to support the album and will be at Summerstage in New York City on Monday, July 20th. Tickets are available. [1 hr. 7 minutes] Lastly, the producers of Les Blank's up-to-now never released doc, "A Poem is a Naked Person", Maureen Gosling & Blank's son Harrod. The film is currently screening at Film Forum thanks to Janus Films and will be soon available on multiple platforms thanks to Criterion. Photo credit: Scott D. Hemenway.